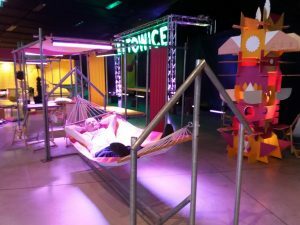 We’re back from WOMEX 2017 in Katowice, Poland and what a great experience it was. Four days of meetings, networking and watching! A truly multi-cultural, diverse feast of music and cultures – we loved every minute of it. 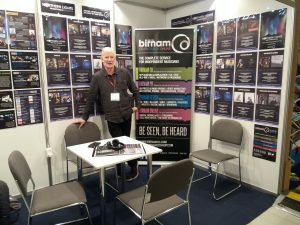 Our stand was visited by a huge range of artists, radio presenters, festival organisers, agents, and promoters from across the world including Canada, Morocco, USA, Switzerland, Hungary, Colombia, Germany, Poland, Armenia, Mozambique, Latvia, Chile, Sweden, Belgium and many more. 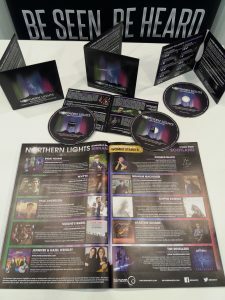 Our promotional CD Northern Lights was included in each of the delegate bags along with a copy of the WOMEX edition of fROOTS, which featured a 2-page advert, an editorial and an album download. 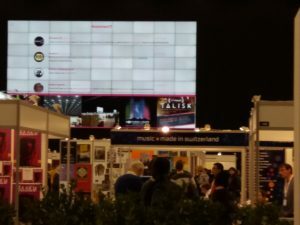 We sent out regular tweets with some of them reaching the huge screens at the back of the WOMEX hall. For more information on the artists please visit birnamcd.com/northernlights. We’ve already had notification from a radio station in Australia that they have played a track from the fROOTS download, which is part of the digital fROOTS edition, sent out just before WOMEX. 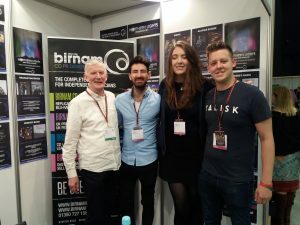 We had lots of discussions with radio presenters looking for music from across the world and were particularly interested in the range of music and artists we were promoting here in Scotland. We’ve now linked with a folk, blues and world music internet radio station which streams 24 hours a day from Vienna, connected with radio presenters from Germany and Hungary and set up links with a network of 45 radio presenters who all feed into the World Music Charts, as featured in fROOTS. We held very positive discussions with a wide range of WOMEX delegates covering many different aspects of the music industry. 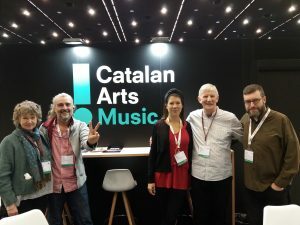 Like us, many delegates were looking to establish positive partnerships which would support increased awareness and opportunities for artists and music in general. We will be working on a few exciting developments over the coming months. We had the pleasure of the company of TALISK who were there to do one of the showcase performances – a hugely significant accomplishment given that there were around 1350 applications for around 60 available slots. Their gig went extremely well, lots of very positive feedback and a queue of delegates looking to book them. They’re lovely folk and we wish them even more success in the months and years ahead. We also had the pleasure of meeting a great bunch of folk from Catalonia – we’ve been thinking of them since we returned, and we wish them well for the future. Just to finish, we’ll leave you with another two photographs. The first one is the indoor beach with hammocks and deckchairs. This area proved very popular later in the day when folk were getting weary. 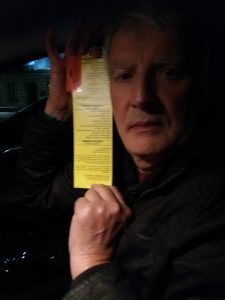 The second photograph is our PARKING TICKET – all the way from Scotland to Poland and we managed to get a parking ticket on the last night! Well, we didn’t have time to do any shopping, so it’s nice to have a souvenir…..
WOMEX 2017 was a hugely enjoyable experience and we’re looking forward to WOMEX 2018.